That's a lot of cubic inches for only 50 watts input to the final. But, that is one of the charms of boat anchors, plenty of real estate. On the flip side, there are probably more than a few boat anchors that could do 100 years of full-power key-down with no thermal issues. WD4IGX, KA4DPO, N3AWS and 1 other person like this. Here is the NC303's slightly older brother, a decent CW receiver. unlike Carl, I do like my 303 for phone ops, and both get cycled through the radio bench. KA4DPO and W4ZD like this. Very similar experience. 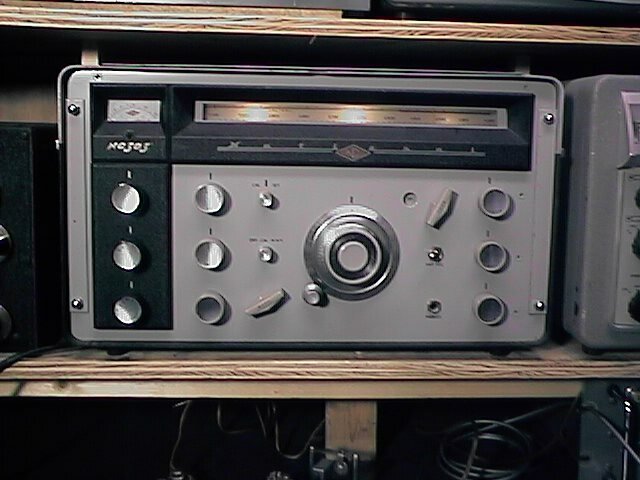 I did not have a HB regen but built a Knight Kit Span Master which I built at 12 and still have, my 1st receiver when I got my novice was a BC454 but I quickly upgraded that to a Heath MR1 with a HP23 power supply. I also had and still have a HQ129X. I recapped the Span Master a few years ago and am currently changing all the caps and resistors in the HQ129, cosmetically it's as nice as I have ever seen, actually mint. When that's done I will pair it with the TBS-50 and put the 140 on the shelf. I am also rebuilding the cans in the BC454 as they finally went but that's a bit tougher. You can see the span master on the top shelf on the right and the MR-1 next to the DX60. What's nice is I can go from station to station by just turning one switch utilizing the auto tuner, remote antenna switch, and swr/watt meter even the amp (which I never do with the vintage stuff but I do use them all every month since it's so easy.) No swapping cables or connecting and disconnecting anything. KA4DPO and NL7W like this. Most of the space in the LTV television transmitter involved the video modulator. The reason for all the meters was to insure that the 50-watt legal limit was not exceeded. Technically, the manufacturer was Electron Corporation. However, that company was a subsidiary of LTV (Ling-Temco-Vought) and was built here in the Dallas, Texas, area. The transmitter was featured on the cover of Popular Electronics Magazine June 1959 issue and the call W5KPZ was shown with a "test pattern" card on top of the transmitter. W5KPZ is still an active call sign and is still held by the person, referenced by name, in the article! However, he has moved about 100-miles east of Dallas living now in Tyler, Texas. 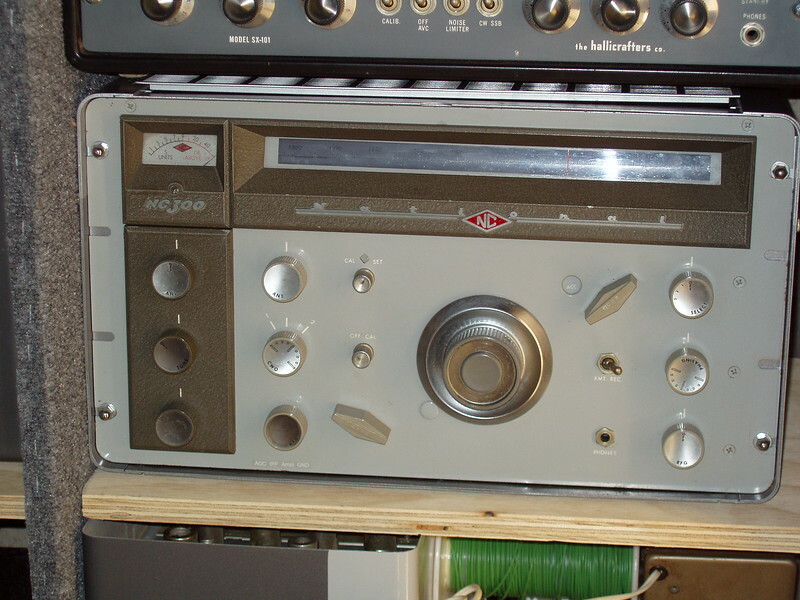 Another receiver that shouts "radio-ey" is the RME-6900. These receivers are fairly scarce these days since there were not all that many manufactured. At least in my experience, the audio quality of the 6900 is among the best of the later tube-type receivers, if not the best. I attribute this to the fact that, at the time the receiver was designed, RME was owned by, and manufactured at the same facility, as Electro-Voice. Electro-Voice was manufacturing top of the line audio equipment and accessories and that carried over into the 6900. Although not an amateur radio band at the time, the 6900 does cover the 30-meter band with the WWV band of 10.0 MHz to 11.0 MHz. One thing about the RME 6900 was that it was advertised as being used by W9IOP to win the 1959 ARRL CW Sweepstakes, setting a new record. W9IOP was the vice-president of Electro-Voice and the prototype 6900 was finished just a few hours before the start of the contest. W9IOP lived on the north side of South Bend, Indiana. W9VW lived about a mile from my parent's house in LaPorte, Indiana, 26-miles east of South Bend. Harold was a very good friend of Larry, W9IOP, and often operated from that station during DX contests. As such, Harold, better known as "Hal", was privy to what really happened during the 1959 Sweepstakes. Larry did use the 6900 during the contest. But, as a keying monitor! The real receiver used was a Collins 75A-4! The advertisements led one to believe that the 6900 was used for making contacts and, technically, such was true although the 75A-4 really did the work! Larry held, at the same time, W9IOP at his home in South Bend, W8IOP as an additional station license at his office in Buchanan, Michigan, and W2IOP as an additional station license which was his original call sign. W6ELH, W4ZD, KA4DPO and 1 other person like this. Always wanted a 6900. One of mentors had one coupled with a HT37. I think the only radios I ever owned that I don't miss were my SX-101A and HT-32B. They were great performers but they were so heavy that now a days my poor old back could not deal with moving them. W4ZD and KC8VWM like this. My dad worked for Hiller as a subcontractor for the XC-142. It was a WONDERFUL aircraft....the timing was just wrong. Don't see how anyone could call the NC-303 "ugly"! For its time and design, it's just about perfect. In fact, the only change I would make is to put back a feature the NC-300 had, which permitted the first RF amplifier to be on the RF GAIN control, or not, at the choice of the operator. Of course the Collins 75A-4 is better in some ways - but the A4 cost a lot more, and to equal the features of the NC-300, would need the reduction tuning knob and optional mechanical filters, increasing the price differential even more. (The NC-303 cost $449; the 75A-4 with reduction knob and optional filters cost $670 to $770, depending on when you bought it). Plus even with the reduction knob, the 75A-4 tuning rate is faster on most bands than the NC-303's.